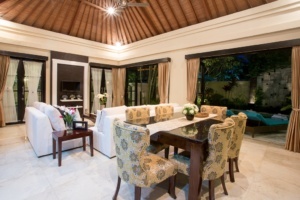 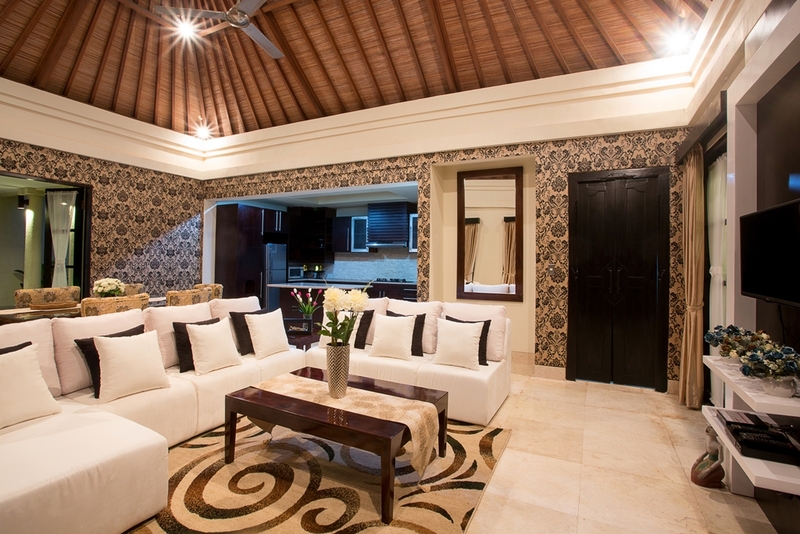 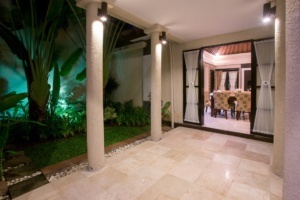 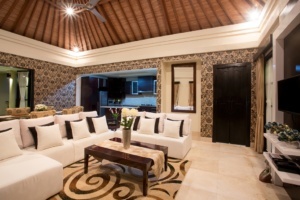 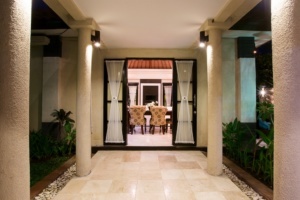 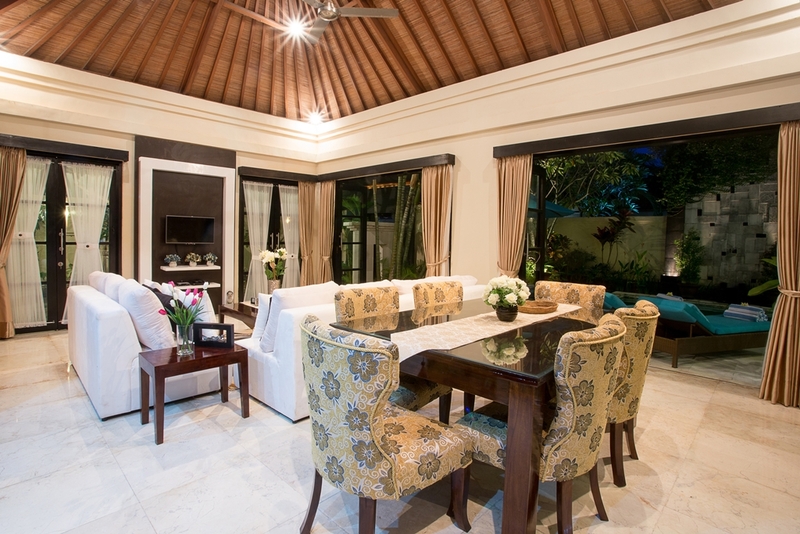 This 500sqm spacious 3-bedroom villa is tastefully furnished and its interior design shows the luxurious living. 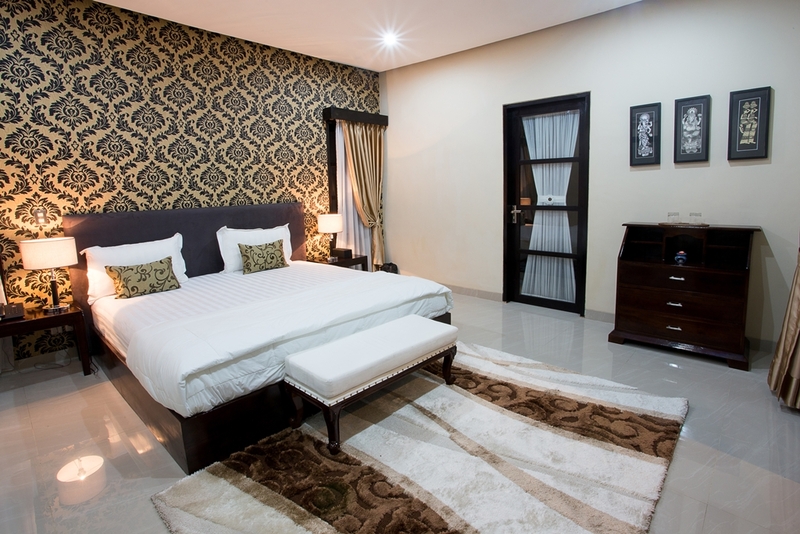 It has 3 separate air conditioned bedrooms with 3 en suite, free wi-fi, fully equipped kitchen with cooking, tea/coffee making facilities and fridge; flat-screen TV with international channels; Daily Breakfast; garden and outdoor gazebo to lay-back and enjoy chilling breeze and private Swimming Pool.The large en-suite bathrooms feature floor-to-ceiling marbled walls and tiles, with all materials carefully selected for guests ultimate comfort and convenience.Decorated in a modern tropical style, open and enclosed options of the living room, which gracefully overlooking the beautiful landscape, This Villa is perfect to hold couples, families, group of friends gathering. 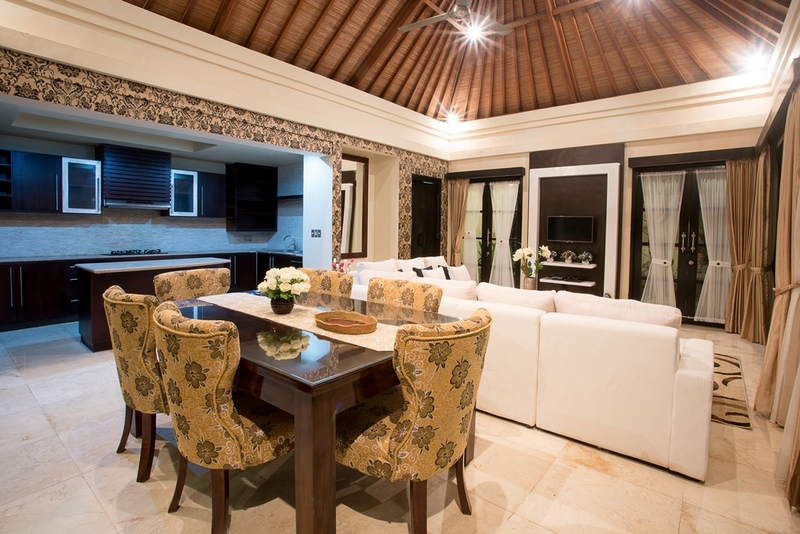 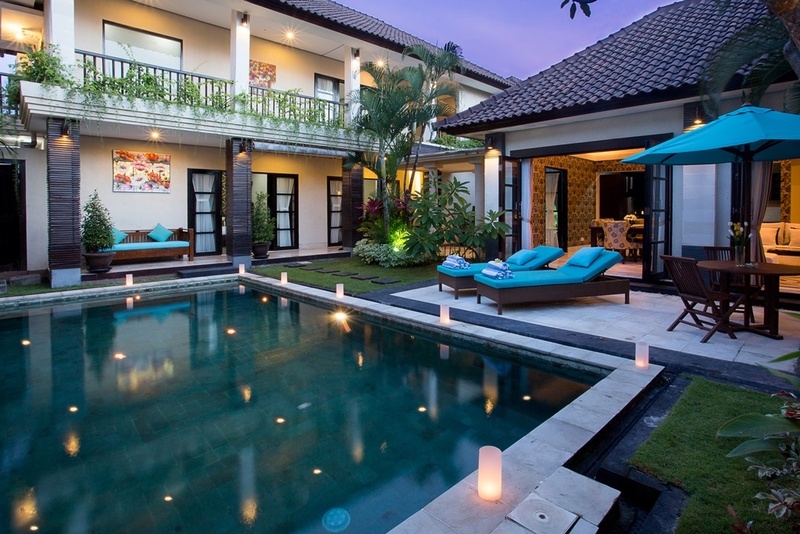 The Villa is located in Jalan Lebak Sari – Seminyak, only a stone-throw away from the famous Petitenget Beach and the most popular “Eat-Street” of stylish Seminyak, where rows of world-class fine dining restaurants, bistros and high-end lifestyle boutiques are located.